On a Sunday morning in autumn, I sensed a familiar feeling as I approached one of the last classic stadiums still being utilized—Arrowhead Stadium, home of the Chiefs. There was not a single cloud in the sky as what seemed like all of Kansas City and I began to make our way through traffic. I had learned long ago that Arrowhead Stadium was much more than merely a football field. The history, the volume, and the aroma of the finest barbeque in the United States all reeducated me. I gained knowledge of this before even entering the sports ground. The scent of the tailgate was strong; my mouth watered as we strolled along the parking lot. No one can deny the astounding flavor of the Kansas City barbeque. Even the smell of it would make anyone’s stomach growl. As we paced on, I became more and more famished as a result of the slowly smoked meat directly in front of me. The scene was set as we continued to walk toward the entry gate. I could see clearly Kauffman Stadium—home of the Royals—across from us, only yards away from Arrowhead. The Major League Baseball stadium shares parking lots with the home of the Chiefs. It felt like walking through a historic mirage as we at last entered the stadium that was constructed in 1972. A few years prior to Arrowhead’s assembly, the Kansas City Chiefs won Super Bowl IV in 1969. Finally, an indescribable moment occurred as I first peered on the field and the multitude of over seventy thousand. The roar of the crowd was incomparable to any outdoor arena. 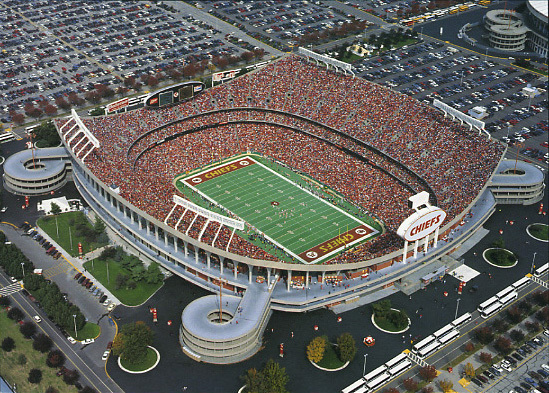 Arrowhead Stadium had always been known as a fiercely noisy amphitheater, but this was not recognized nationally until October 13, 2013, when the Chiefs hosted the Oakland Raiders. On this warm Sunday afternoon, Kansas City fans broke the Guinness World Record for loudest outdoor stadium in the world, topping out at 137.5 decibels. The atmosphere could be described as a Halloween party; however, none of the costumes were frightening, unattractive, or obnoxious. The attire was blissful and friendly to anyone wearing red. The garments were mostly, but not limited to, a Native American theme. I also saw people with face paintings done with very fine quality. Regardless of the theme of design, these costumes and face paintings shared one important feature—they were all crimson. As I stood high in the upper deck, I gazed down on a sea of red. While the game continued, the crowd did various chants. They preformed each of these mantras given the scenario of the contest. The crowd can be heard from afar performing the tomahawk chop, a popular fan chant, as they exit the stadium after a Kansas City Chiefs’ victory. The experience at Arrowhead was unforgettable, not solely due to the football performed but also because of the passion exhibited by the fans. Arrowhead is more than just a stadium that holds roughly seventy-six thousand; it is the seventy-six thousand that fill the seats that make the football experience legendary. The former Most Valuable Player in 2002 Miguel Tejada has been suspended for 105 games due to failing two drug tests for amphetamine. Tejada is 39-years-old and is not signed beyond this season with the Kansas City Royals. Tejada had already been put on the 60-day disabled list. The suspension would cause him to miss two months next season if he played. He recently spoke out in regard to his Attention Deficit Disorder. This is not the first time Miguel Tejada has been convicted of such acts. In 2009, he was one of the first to plead guilty from the steroid era. Tejada’s suspension is the third-longest non-lifetime suspension handed down by MLB, behind Alex Rodriguez’s pending 211-game ban and Steve Howe’s 119-game sanction in 1992. Due to his older age, it is very questionable whether Tejada will ever play in the MLB ever again. Despite a great career, it will forever be tainted by the steroid era and his most recent suspension. However, Tejada said he did not plan to retire from baseball. “I hope to get the contract, and if possible, the renewal of my permission to use a drug which I depend less each time,” he said. After trading for James Shields in the off-season the Royals had high hopes for this year, but it’s taken a while for them to piece wins to together. Now they are starting to get hot and the AL Central needs to watch out. By Anthony Pucik. Wiggins Looks to be ALL IN for KU! Bill Self and the Kansas Jayhawks will be pleased. Earlier today, we reported on Bill Self’s speculation about the summer plans of Andrew Wiggins. The season’s biggest recruit is from Canada, and has the opportunity to represent his home country on the FIBA U19 team. Self believed that Wiggins would give at least part of his summer over to Team Canada. Turns out Self was wrong. According to the Basketball Canada website, Wiggins has chosen to focus on getting ready for his freshman year of DI basketball, and will forego his berth on the Junior Men’s National Team. Wiggins’ decision may be a disappointment to Canadians in the short term, but the long-term outlook for Team Canada may actually become more attractive if Wiggins spends extra time in the Bill Self talent development pipeline. Wiggins and several other talented Canadian stars will make for a super-tough squad in the upcoming Olympic games. Alright KU football fans, time to start saving your money. In 2017, the Kansas Jayhawks will travel to Honolulu to face off against the Hawaii Warriors. The home-and-home officially begins in 2016; their first meting in this series will be played on September 24 in Lawrence at Memorial stadium. The following year, in 2017, the Jayhawks will travel to Aloha Stadium on the second of September. Kansas has only played Hawaii once previously–a game in which the Jayhawks won 33-27 on August 31, 1985 in Honolulu. This will be the first time the Jayhawks have been to Hawaii since they defeated UCLA, 51-30, in the 1995 Aloha Bowl. 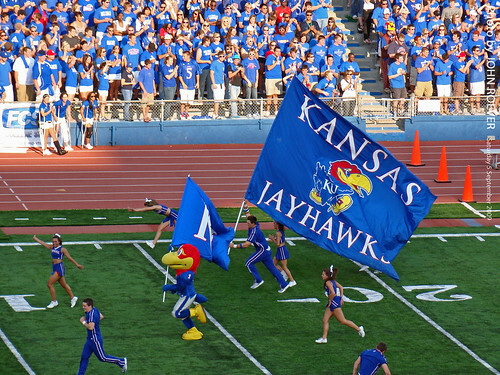 The Kansas Jayhawks will begin their upcoming 2013 season on September 7 when they take on the South Dakota Coyotes. During the 2011-12 season, times were great for Michael Dixon who was playing guard for the Missouri Tigers. Dixon went on to win the Big XII Sixth Man of the Year award. Everyone, including myself, believed the future was bright for this emerging star; that in the 2012-13 season he would be a go to player for Frank Haith. Despite the strong upside that Dixon obtained at Missouri, the University dismissed him after multiple accusations of sexual assault (he was not charged on account of either incident). For Michael to be granted permission to play, he will need a waiver from the NCAA similar to the one Dez Wells received last year after being kicked out of Xavier. Dixon knows that he will have to work extremely hard in order to play this coming season, “Every workout and everything I do on the basketball court is going to be fueled by that. It’s definitely motivation.” he said regarding being dismissed from Missouri. Dixon feels confident that he will be granted a waiver, however, several Division I coaches give him only a slim chance of getting the waiver from the NCAA. If these coaches are incorrect, the Memphis Tigers and their touted recruiting class will be a force to be reckoned with. “It’s easy for anybody to want to go somewhere to be the man. But it takes a real person, a real man, to want to go somewhere and be a part of a team and win. That’s something I want to do. I’ve always dreamed of playing in a Final Four and winning a national championship. That’s something I can see myself doing at Memphis.” Dixon added. But, that’s assuming he is granted the opportunity. The Kansas City Chiefs have scored some pretty impressive additions this off-season. After finishing 2-14 a season ago, the Chiefs have nabbed a new head coach, a new quarterback, the number one overall draft pick, and a new general manager. The expectations are now higher than an average season for the new KC Chiefs’ squad. 8-8 will not meet the standard set by the Kansas City fan base, not now that the Chiefs have both Alex Smith and Andy Reid, two men with playoff experience; that’s without mentioning the supporting cast for KC. But what are the Chiefs’ AFC West chances? Are they a legitimate playoff team? Obviously, only time will tell, however, I believe this team to be well on the way to relevance again. First, it is impossible to ignore that the NFL is a quarterbacks’ league. So the first objective is to examine the man under-center for the Chiefs. As QB for the San Francisco 49ers, Alex Smith had an up and down career. His performance peeked in 2011 when he led his team to the playoffs. During 2011, he only threw five interceptions, and completed 61.3% of his passes. The 49ers finished 13-3. Smith began 2012 extremely well; though the first ten games he led the NFL in completion percentage at 70.2%. At face value, Alex Smith is a middle of the road NFL QB, however, while he was throwing for the 49ers, he rarely passed more than thirty times per game. Andy Reid is a pass first coach and the number of throws that Smith attempts will no doubt increase. Alex is also expected to pass from the pistol offense this coming season, the same offense that Robert Griffin III and Colin Kaepernick ran a season ago. Alex Smith is not usually thought of as a running quarterback, however, Smith is mobile and ran the ball when he had to in San Fransisco. Secondly, defense is crucial to victory for Kansas City. The Chiefs’ defense features stars like Eric Berry, Tyson Jackson, Dontari Poe, Derrick Johnson, and Tamba Hali. It’s safe to say that the Chiefs’ offense was atrocious last season; the same cannot be said for Kansas City’s defense. I expect the Chiefs’ defense to be even better in 2013. As dreadful as Kansas City’s offense was, Jamal Charles continued his excellence, rushing for a career best 1509 yards. Charles’ teammate Dwayne Bowe predicted that Jamal will lead the NFL in rushing this coming season. “When we get in full gear and pads and close to the season, it’s going to be a show to watch,’’ Bowe claimed. I believe that to be a bit of a stretch. There happens to be a player named Adrian Peterson in the league at the moment! I expect Charles to catch the ball more in 2013. I predict 400 receiving yards. The Chiefs look to be in great shape in the AFC West. I would love to say that I thought that the Chiefs were going to win the division, however, I predict the Denver Broncos will finish 13-3 and Kansas City Chiefs 9-7. Andy Reid and the Chiefs have a lot of work to do. This squad is going to be exciting in the years to come, but the 2013 season will be a rebuilding year. In an attempted to lift the Royals out of their recent slip, the Royals have hired Hall of Fame third baseman George Brett as a hitting coach. Some might say that a move like this appears desperate. The truth is that is exactly what the Royals are at the moment. Brett is officially an interim coach, however, if George makes progress with the young Royals’ squad, they might think about holding on to him. All the same, Brett will have to enjoy the position a great deal before he would agree to jump out of retirement. He is only sixty years young with plenty of baseball mojo left in him. Brett will join Pedro Grifol as an interim hitting coach. As a result, Jack Maloof and Andre David (the former Royals’ hitting coaches) have been moved to Triple-A. These changes take effect tonight as Kansas City concludes their series with Saint Louis at 7:15 PM. I myself do not believe that Brett will make an impact over night, but through time, this move could prove beneficial. 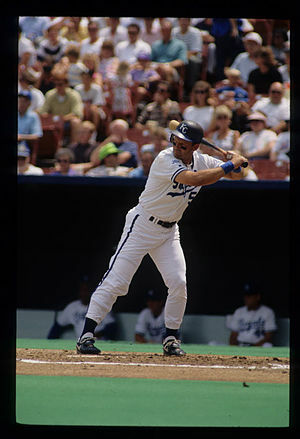 George played twenty years in the big leagues in which his competitive nature was shown. He will definitely not be phased if early struggles take place. 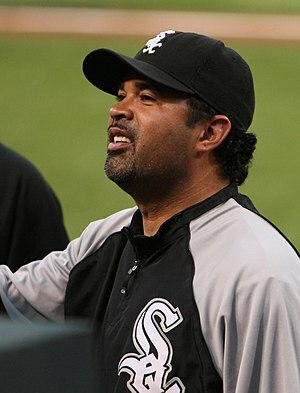 As for Pedro Grifol, he is forty-three and has been involved in the Seattle organization for the past thirteen seasons. He began this season as a hitting coach for the Arizona Rookie League. Could Ozzie Guillén Be Heading to the Royals? Royals’ manager, Ned Yost, has been under major scrutiny for a heavy downfall during the month of May. The Royals have now lost seven straight games including being swept by the Los Angeles Angels in four games. Kansas City has not obtained a strong amount of luck in the past four weeks with a bevy of one-run-losses. They have yet to hit well this month contributing to the losing streak. Let’s just be blunt, the Royals have been no short of a disaster during this stretch. But is this due to not having enough super-power on the squad? Or not having a quality pitching rotation? Nonsense. The Kansas City Royals increased their payroll before the season bringing in new faces like James Shields, Ervin Santana and even veterans like Miguel Tejada. With stars like this on the team, there is no excuse for a long slide such as this. Many fans and critics are looking for a change in management to fix the problem for the Royals. So what are the options for the Royals if they decide to move away from Yost? The options are in no way limited, but I believe Ozzie Guillén to be the logical choice if the Royals make a change. Although Ozzie is most known for his immense controversy, he won the World Series as coach of the Florida Marlins (now the Miami Marlins) in 2003. In 2005, Guillén became the first Latino manager to win the World Series. Ozzie has a track record of success. Success that the Royals have been void of for the past twenty years. With managers like Guillén in the market for a job, Ned Yost better step it up and begin to win soon. I don’t want to see anyone get fired, but if you cannot win in this league, you won’t be employed for long.